we begin to think about locksmith services when we need a copy of a key, the lock on our door is broken, or we’re standing outside our car in the rain looking at our keys locked in the car. In the case that we need an emergency locksmith, it’s easy to pick the first one that comes to mind, because a locksmith is a locksmith is a locksmith. This is not really the case. 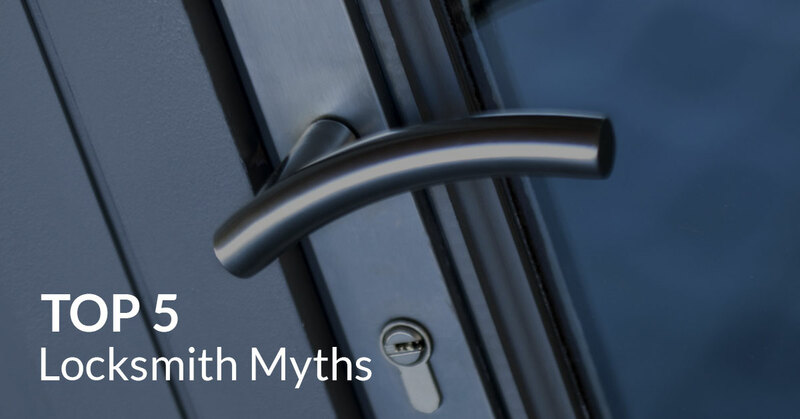 Here are typical locksmith myths debunked. Not all locksmith products are the same, because unknown to the most, there are, like much of life, many product choices. Before you commit to a locksmith and their services, ask them about their products. Ask them about the quality of their products and about the options you have when it comes to not only services needed, but also the brand of products used. Your security is at stake! Don’t just settle for anything. Not all locksmiths offer 24-hour locksmith services. When you have emergency service needs, be sure to check the availability of your chosen professional. If you are a business owner, or even a person who likes to be prepared before an emergency strikes, see which locksmith in your area offers 24-hour services and then go even further and see if they are licensed and give timely assistance. No matter what your emergency, you need a 24-hour locksmith that you can trust! When you are looking for a locksmith in Spring, The Woodlands, and the surrounding areas, you must find a locksmith that is licensed. A licensed locksmith means many things. First, a licensed locksmith is someone who has a clean criminal background. They will also be someone who has gained the proper training to perform the job properly. Don’t trust your safety to just anyone. Find a locksmith who you can trust. Unfortunately, locksmiths can not guarantee their work or their products. Though some products come with a warranty, there is no guarantee that these products will last. For this reason, it is important to find a locksmith who is experienced, licensed, and who uses high-quality products. As mentioned before, do your homework when hiring a locksmith. Read reviews of your local locksmith’s work, inquire about the cost and options you have to fix your security problem and find out a locksmith’s experience level. We find it odd that this is a common myth, but perhaps it is a blessing that many feel this safe in our country. Your security does matter and you should hire a locksmith who takes your security and your feelings seriously. If you have the budget and the opportunity to have the best security for your home or business, take it! The things and people in your home and are your investments in your life and well-being, not even considering the financial aspects. Need a Locksmith in Spring or The Woodlands? Contact Affordable Locksmith of Texas! We serve those in the Spring, The Woodlands, and the surrounding areas with our licensed locksmith services. We have over 10 years experience and offer many high-quality services to fit your needs including residential, commercial, automotive, and transponder key replacement services. We offer 24-hour locksmith services so that when you need us, we can be there for you. Contact us and we will respond within 15 minutes! New customers get 10% off their first service! Want to Speak to a Locksmith?